One of our rising three year old huacaya males “Waratah Flats Krakatoa” has recently taken out Supreme Champion at the Ellesmere A&P Show. 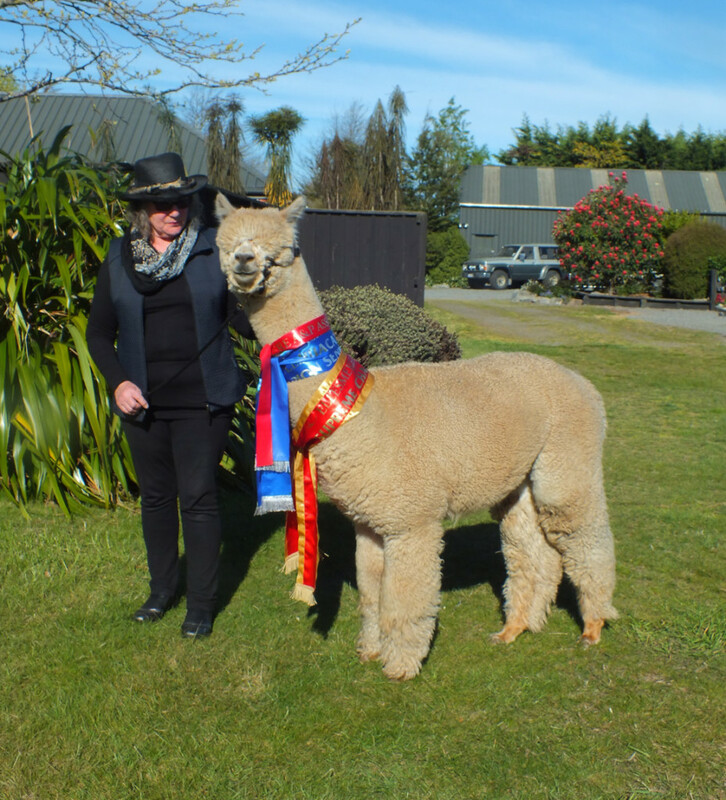 This is WF Krakatoa’s first Supreme Championship, although he has a number of age group and fleece show broad ribbons to his name. This is the second year that Waratah Flats fawn males have taken out this award at Ellesmere – last year it was WF Fire Cracker. WF Krakatoa is now a AANZ certified male and will start working this summer as part of our breeding programme.